The force is strong with this slime project! You’ll rule the galaxy with this easy DIY Star Wars Slime. A long time ago, in a galaxy far, far away…….OK, so I won’t go through the whole Star Wars saga with you. If you are a fan like myself, you probably know all about light and dark as well as the forces of good and evil. So, with anticipation of the next chapter in the Star Wars trilogy (Star Wars: The Last Jedi) opening in theaters this December, it’s time for another FUN slime tutorial. Can you feel the force? 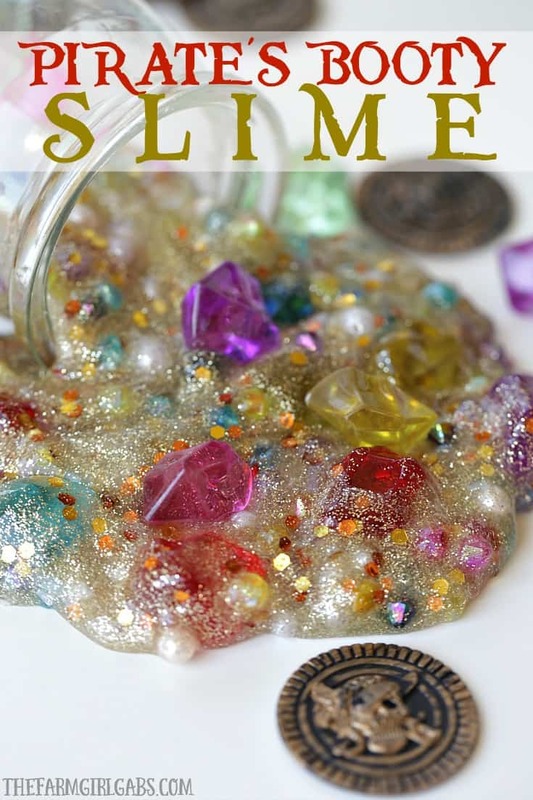 Be sure to check out my entire collection of Fun Slime Recipes. The slime recipes I have been posting here on The Farm Girl Gabs have quickly become my most popular posts. Slime….who would have thought…hmmm. Anyway, slime is fun. It’s also a great way to keep the kids and adults busy. You can even make a big batch and hand out as party favors. 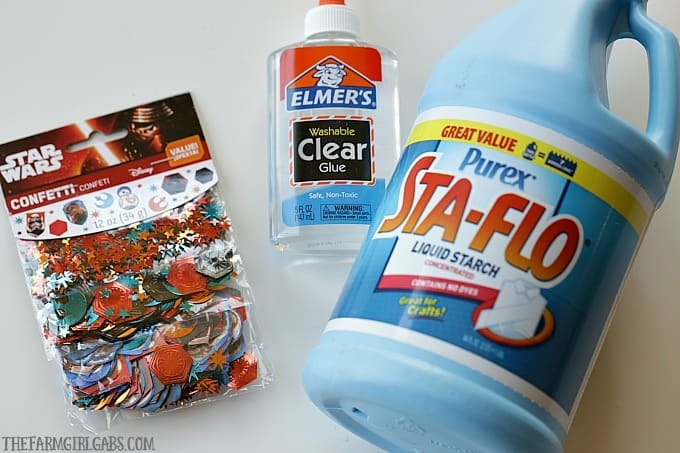 This Star Wars Slime would be so fun to make for an upcoming Star Wars party for your kids. Start by adding the glue, glitters and confetti to a bowl. Mix together. Gradually add the liquid starch, one tablespoon at a time, until the slime molds together. You will probably need about 4 tablespoons of starch. The more starch you add, the thicker the slime will become. So whether you are ready to battle the forces of good and evil, this Star Wars Slime will quickly become popular enough to rule the galaxy. May the force be with you. Simple yet creative. Tried it and love it. Have an upcoming Star Wars Easter party so this wll definitely be a hit with the kids. Thanks.